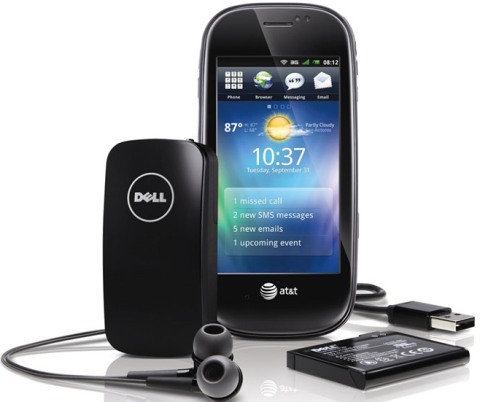 AT&T has launched the new compact, high-performance Dell Aero Android phone which is known as one of the most lightest Android-powered smartphone in United States. Dell Aero is equipped with a large 3.5-inch multi-touch display, 5MP camera, GPS, Wi-Fi connectivity and 624Mhz Marvell processor, supporting handwriting recognition complemented with a capacitive stylus. “The Dell Aero is built with a focus on style and performance to help people find new ways to connect with friends and express themselves socially supported by the nation’s fastest mobile broadband network,” said Ron Garriques, president for Dell Communication Solutions. The new ultra-slim, lightweight Dell Aero Android phone which measures 0.46 x 4.8 x 2.28 inches and weights just 3.67 ounces is now available for $99.99 on a new AT&T 2-year service agreement, and costs $299.99 without a contract.